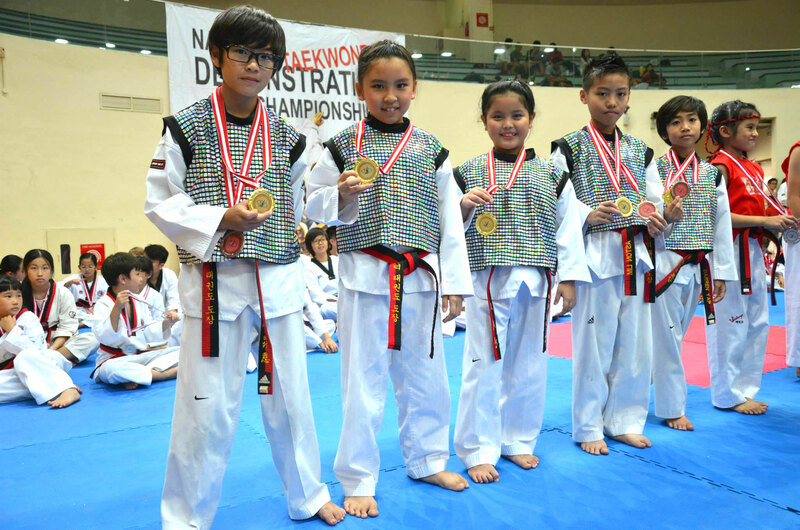 It was a magical afternoon and a wonderful way to end 2013 - with lots good fun, humour and excitment at the '2nd National Demonstration Taekwondo Championships'. With their fun choreography and set taekwondo moves, our players impressed the judges and wowed the crowd with gold medal performances from both our 'Young Junior 1' and 'Young Junior 2' Aerobic teams. The rest of the participants also put in fine performances, and we are proud of the modest medal haul of 4 golds, 2 silvers and 5 bronzes… Thanks to all the coaches, parents for their support, and most of all, our players who never gave up, and gave their best…Looking forward to 2014! To view the moments captured during the Championship, click here.